The list of stories you shouldn't have missed this week begins with a handful of spicy rumors. One of them suggests that an 8-inch Galaxy Note tablet is in the making - a supposed competitor to the iPad mini, while the other reveals specs for the so-called LG Optimus G Pro. Next up there's a render depicting what the rumored HTC M7 smartphone might look like, although it could also be a hoax. What you should also check out is this cool demonstration showing off the HDR video recording mode found on the Sony Xperia Z. When the feature is enabled, there's noticeably less overexposing going on in the footage, which makes it all look a lot more eye-pleasing. 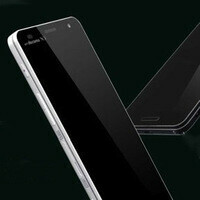 Samsung Galaxy Note 8.0 leaks out with benchmarks, iPad mini competitor coming at MWC? Jan 17, 2013, 5:55 AM, by Victor H.
Jan 18, 2013, 2:05 AM, by Daniel P.
Is this an image of the HTC M7? Jan 16, 2013, 12:54 PM, by Alan F.
Jan 16, 2013, 11:30 PM, by Michael H.
First BlackBerry 10 model to launch February 28th? Jan 14, 2013, 5:44 AM, by Alan F.
Jan 14, 2013, 8:06 PM, by Michael H.
Jan 16, 2013, 5:59 AM, by Daniel P.
Jan 16, 2013, 8:08 AM, by Daniel P.